The 3 Tier is the Little cousin of the 4 Tier, yet still provides plenty of space, fun and joy for your feline friend in a compact outdoor activity tree! 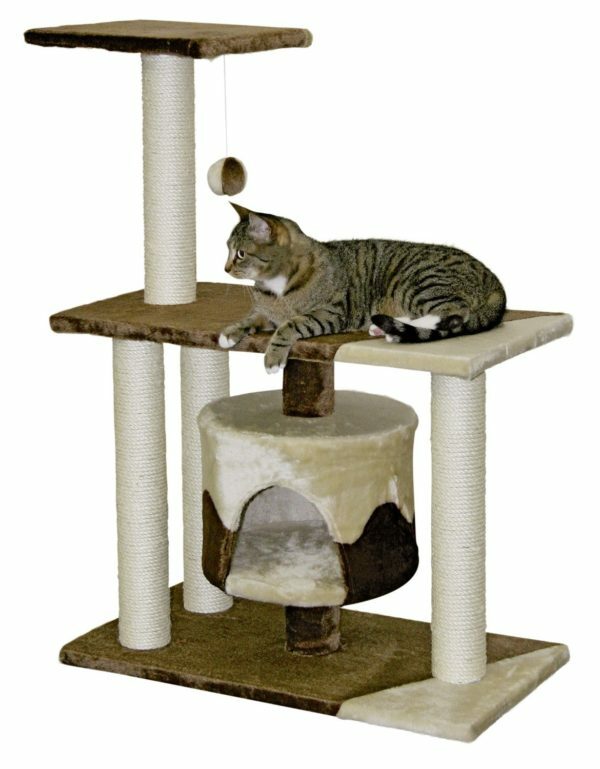 With three strong and durable platforms for your feline friend to explore to their hearts content, they will be forever grateful when they presented with this beautifully constructive outdoor cat tree that is built to stand the test of time. Due to the low centre of gravity, the 3 Tier holds everything together puufectly and your feline friend will be safe and secure as a bounce around in between the platforms, or scratch against the sisal wrapped scratching posts. This can be left outside all year round so no matter what, your feline friend will have access to an entertaining playing space to keep them happy and content at all times..